My recently successful adventures in pie have made me somewhat more bold with my baking. As discussed previously, pastry kind of freaked me out, and although they are not the same as pie crust, scones always made me nervous. Really, all it takes is one bad batch of scones to make you feel doomed in the scone/biscuit/pastry department. If you have ever over mixed, over stirred, or too rigorously kneaded a baked good, you understand the grim disappointment of pulling a steaming hot batch of hockey pucks out of your oven. Like so many baked treats, the secret is temperature, speed and a light touch. You also have to know when to stop. Over working almost any dough yields detrimental results and scones are no exception. Once you catch the hang of it, they are a simple treat to make and they come together in minutes. But then there’s the cutting of butter into flour. Who wants to do that? It’s the ultimate in tedium. 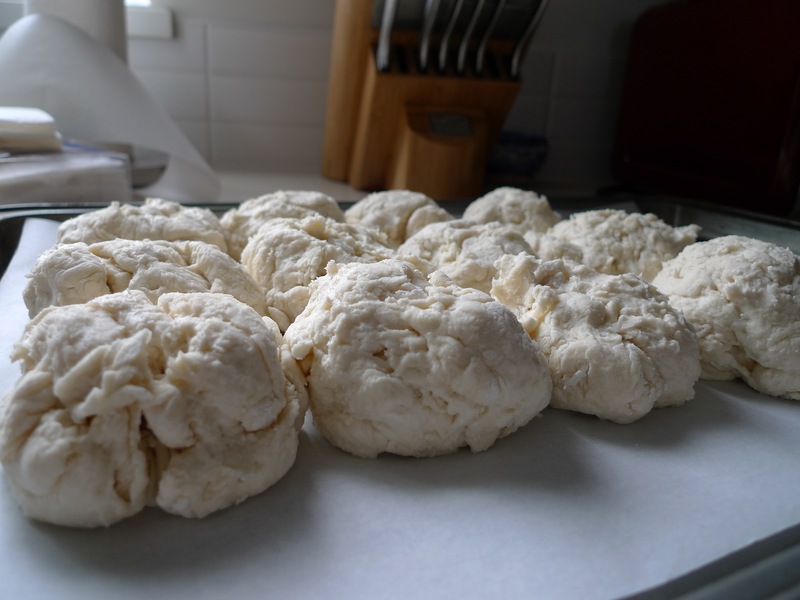 Imagine if there was a scone recipe that made light-as-air, high rising, light tasting, quick baking, absolutely perfect scones that didn’t require the onerous task of cutting butter into flour, and didn’t require chilled ingredients? Well, friends such a recipe exists and thanks to my lovely sister-in-law, Shiona, I have it and will share it with you here. I made these recently for a brunch with some friends and I hadn’t had them since Christmas when Shiona was cranking them out on Christmas morning for the entire extended family. We had them hot from the oven, with butter, honey or jam, or cheese and ham, or plain and simple, undressed, they were that good. Not wanting to get in the way I steered clear of the kitchen, but after having one, I ventured in to learn more. That’s when she showed me the secrets: swap whipping cream for the butter (no cutting!) and use 7Up to ramp up the power of the baking soda. If you’re anything like me, you are in a state of skepticism right now after reading that. 7Up? 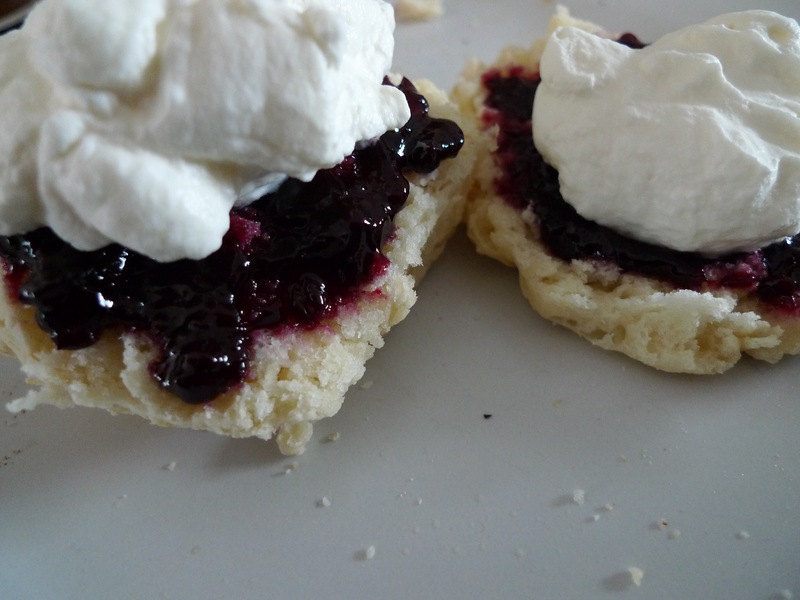 Pop in scones? 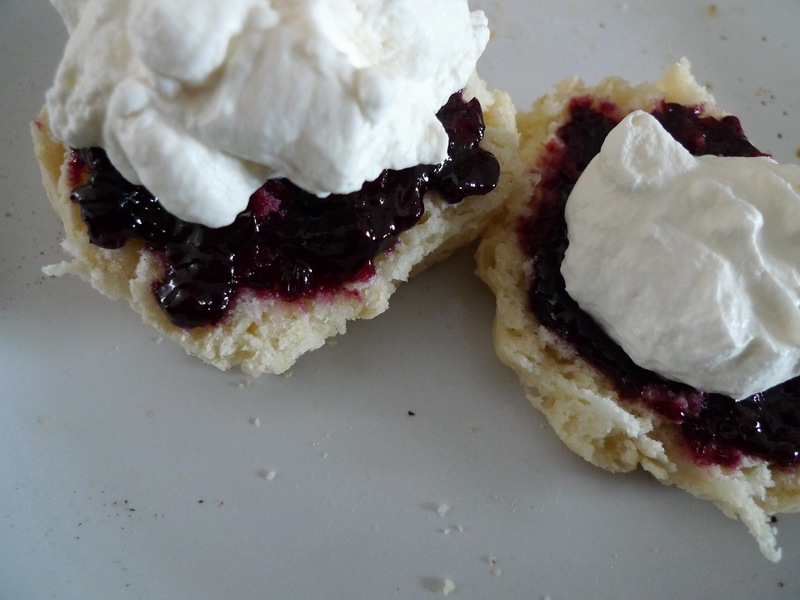 But believe me, you don’t taste the flavour of the 7Up, but you do reap all the benefits of the carbonation, because these scones are light (at least in texture; the whipping cream doesn’t exactly make them health food). Don’t believe me? Try them. You’ll see what I mean. Pour the liquid into the dry and quickly, gently stir just until it comes together into a rough dough. 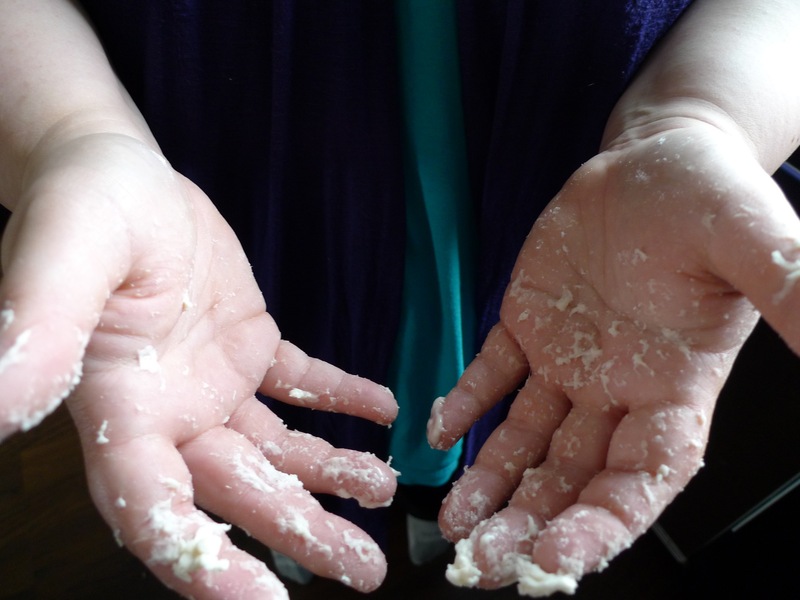 On a floured surface, pat the dough out, about 1″ thick. It will be sticky so make sure you use more flour than I did. Cut into pieces. In the picture below you’ll notice that I pulled the dough apart into rounded wads, that worked just as well and I got 12 large scones. Lay the pieces on a greased cookie sheet, edges touching. Bake for 12 minutes until risen and lightly gold on the edges and bottom. Serve immediately.